In 1002, 15-year-old Emma of Normandy crosses the Narrow Sea to wed the much older King Athelred of England, whom she meets for the first time at the church door. Thrust into an unfamiliar and treacherous court, with a husband who mistrusts her, stepsons who resent her, and a bewitching rival who covets her crown, Emma must defend herself against her enemies and secure her status as queen by bearing a son. Historian and New York Times best-selling author Alison Weir is acclaimed for her absorbing works about the infamous House of York and House of Tudor lines. 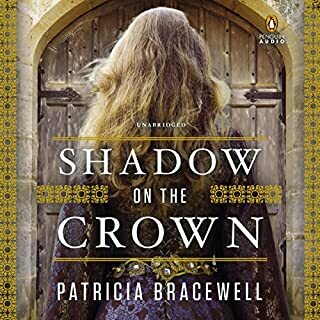 In A Dangerous Inheritance, Weir uses her wealth of knowledge to craft a compelling novel about two women, living 70 years apart, who are linked through the mysterious disappearance of King Richard III's nephews, Edward V and Richard of Shrewsbury - also known as the Princes in the Tower. 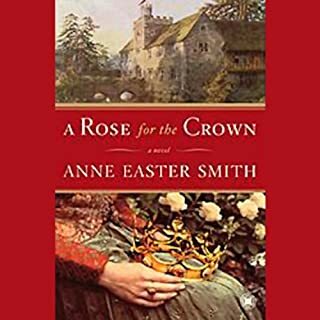 In A Rose for the Crown, we meet one of history's alleged villains through the eyes of a captivating new heroine, the woman who was the mother of his illegitimate children, a woman who loved him for who he really was, no matter what the cost to herself. “No one believed I was destined for greatness.” So begins Isabella’s story, in this evocative, vividly imagined novel about one of history’s most famous and controversial queens - the warrior who united a fractured country, the champion of the faith whose reign gave rise to the Inquisition, and the visionary who sent Columbus to discover a new world. Acclaimed author C. W. Gortner envisages the turbulent early years of a woman whose mythic rise to power would go on to transform a monarchy, a nation, and the world. All that history knows of Grace Plantagenet is that she was an illegitimate daughter of Edward IV and one of two attendants aboard the funeral barge of his widowed queen. Thus, she was half sister of the famous young princes, who, when this story begins in 1485, had been housed in the Tower by their uncle, Richard III, and are presumed dead. But in the 1490s, a young man appears at the courts of Europe claiming to be Richard, duke of York, seeking to claim his rightful throne from England's first Tudor king. Narrated by the mother of Russia’s last tsar, this vivid, historically authentic novel brings to life the courageous story of Maria Feodorovna, one of Imperial Russia’s most compelling women, who witnessed the splendor and tragic downfall of the Romanovs as she fought to save her dynasty in its final years. Young Elizabeth Stuart was thrust into a life of wealth and splendor when her godmother, Queen Elizabeth I, died and her father, James I, ascended to the illustrious throne of England. At 16 she was married to a dashing German count far below her rank, with the understanding that James would help her husband achieve the crown of Bohemia. Her father's terrible betrayal of this promise would ruin "the Winter Queen", as Elizabeth would forever be known, imperil the lives of those she loved, and launch a war that would last for 30 years. Jane Lambert, the quick-witted and alluring daughter of a silk merchant, is twenty-two and still unmarried. When Jane’s father finally finds her a match, she’s married off to the dull, older silk merchant William Shore. Marriage doesn’t stop Jane from flirtation, however, and when the king’s chamberlain, Will Hastings, comes to her husband’s shop, Will knows King Edward will find her irresistible. Raised alongside her numerous brothers and sisters by the formidable empress of Austria, ten-year-old Maria Antonia knew that her idyllic existence would one day be sacrificed to her mother’s political ambitions. What she never anticipated was that the day in question would come so soon. Absolutely the best narration from an author! One of history's most enigmatic women tells the haunting, passionate story of her tumultuous life. Juana of Castile is just thirteen when she witnesses the fall of Moorish Granada and the uniting of the fractured kingdoms of Spain under her warrior parents, Isabel and Fernando. Intelligent, beautiful, and proud of her heritage, Juana rebels when she is chosen as a bride for the Hapsburg heir. Eleanor of Aquitaine's story is legendary. She is an icon who has fascinated readers for over 800 years. But the real Eleanor remains elusive - until now. Based on the most up-to-date research, best-selling novelist Elizabeth Chadwick brings Eleanor's magnificent story to life, as never before. Young, vibrant, privileged, Eleanor's future is golden as the heiress to wealthy Aquitaine. But when her beloved father dies suddenly in the summer of 1137, her childhood ends abruptly. A princess of Spain, Catalina is only 16 years old when she sets foot on the shores of England. The youngest daughter of the powerful monarchs Ferdinand and Isabella, Catalina is a coveted prize for a royal marriage - and Arthur, Prince of Wales and heir to the English throne, has won her hand. But tragedy strikes, and Catalina, now Princess Katherine, is betrothed to the future Henry VIII. 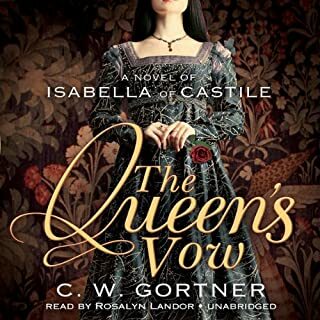 In this brilliantly imagined novel, acclaimed author C. W. Gortner brings Catherine to life in her own voice, allowing us to enter the intimate world of a woman whose determination to protect her family’s throne and realm plunged her into a lethal struggle for power. From the fairy-tale chateaux of the Loire Valley to the battlefields of the wars of religion to the mob-filled streets of Paris, this is the extraordinary untold journey of one of the most maligned and misunderstood women ever to be queen. In When Christ and His Saints Slept, the first of a trilogy that will tell the story of Henry II and Eleanor of Aquitaine, master storyteller and historian Sharon Kay Penman illuminates one of the less known but fascinating periods of English history. It begins with the death of King Henry I, son of William the Conqueror and father of Maude, his only living legitimate offspring. In March of 1603, as she helps to nurse the dying Queen Elizabeth of England, Frances Gorges dreams of her parents’ country estate, where she has learned to use flowers and herbs to become a much-loved healer. She is happy to stay at home when King James of Scotland succeeds to the throne. His court may be shockingly decadent, but his intolerant Puritanism sees witchcraft in many of the old customs - punishable by death. If you were one of King Henry VIII's six wives, who would you be? Would you be Anne Boleyn, who literally lost her head? Would you be the subject of rumor and scandal like Catherine Howard? Or would you get away and survive like Anna of Cleves? Meet them and Henry's other queens - each bound for divorce or death - in this epic and thrilling novel that reads like fantasy but really happened. History has not been kind to Alice Perrers, the notorious mistress of King Edward III. Scholars and contemporaries alike have deemed her a manipulative woman who used her great beauty and sensuality to take advantage of an aging and increasingly senile king. But who was the woman behind the scandal? A cold-hearted opportunist - or someone fighting for her very survival? Like most girls of her era, Alice is taught obedience in all things. At the age of 14 she marries the man her father chooses for her, dutifully accepting the cost of being torn from the family she holds so dear and losing the love of her mother forever. Despite these heartbreaks, Alice finds that merchant Janyn Perrers is a good and loving husband and the two settle into a happy life together. Their bliss is short-lived, however; it unravels the dark day a messenger appears at Alice's door and notifies her of Janyn's sudden disappearance. In the wake of this tragedy, Alice learns that her husband kept many secrets - secrets that result in a price on her own head and that of her beloved daughter. 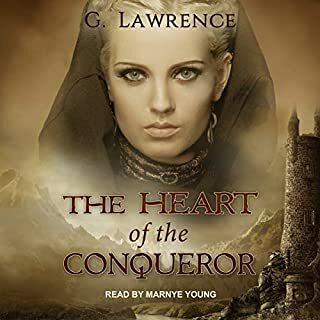 Her only chance to survive lies in the protection of King Edward and Queen Philippa, but she therefore must live at court as a virtual prisoner. When she is singled out by the king for more than just royal patronage, the stakes are raised. Disobeying Edward is not an option, not when her family is at risk, but the court is full of ambitious men and women, many of whom will stop at nothing to see her fall from grace. 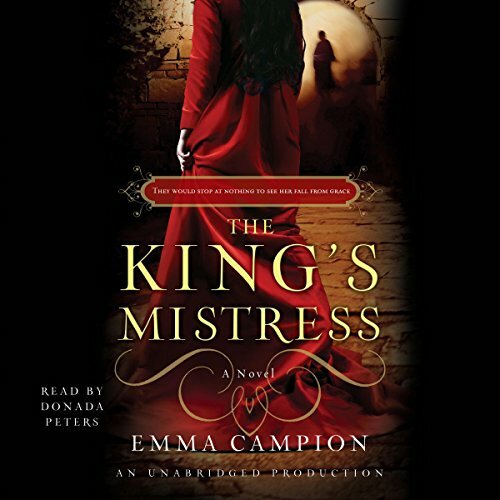 Emma Campion paints a colorful and thrilling portrait of the court of Edward III - with all of its extravagance, scandalous love affairs, political machinations, and murder - and the devastating results of being singled out by the royal family. At the center of the storm is Alice, surviving by her wits in this dangerous world, where the choices are not always of her own making. Emma Campion's dazzling novel shows that there is always another side to the story. I loved this book. I like when an author takes historical fact (as well as people) and can write a good story around it (think Philippa Gregory novels). There really was a Alice Perrers and it was believed she was the King's mistress. It kept my interest, the narration was superb, the story compelling. I highly recommend this one! This book is a wonderful read! I enjoy historical books that are not dull and academic in it's telling and this one is just the one!! It keeps your interest and makes you want to listen more! I could not commute to work as I do without good books like this one! No, it's not shockingly unique among it's genre. Yes, it was entertaining. Quite frankly, Donada's voice is a gem and she can make anything come alive. This is a tale about a young girl who feels used by the crown in an ancestral way...Wealth is displayed. Plague mentioned. It's all in period costume. What more do you want really. There's even a little titillation here and there...It's not high fiber, but sometimes you need a nice dessert book. I love anything about old England and the Kings & Queens who lived during these times. The narrator does a great job and the story line is easy to follow. LOVE IT so much I honest feel like I have lived during this time. I would LOVE more books like this. 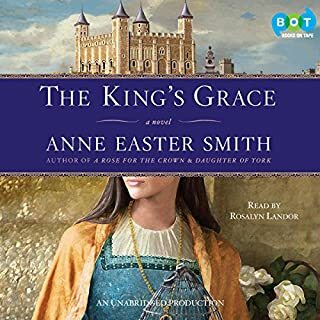 I happened to start listening to another 'mistress' book by Anne Easter Smith before I started this book but had to stop because I found the writing lacked good dialogue to develop the characters and the narration to be so monotone that I struggled to keep engaged in the content. I flipped over to this book by Emma Campion which is narrated by Donada Peters (who is awesome) and have not been disappointed. The characters are well developed with good dialogue and the narration varies character to character with energy that will keep you completely engaged! I can't wait to make my commute everyday to find out what happens next. If you love historical fiction I feel certain you will enjoy this one! Even though an historical 'novel' - this was far too pretensious for my liking. Too much made up history. I really enjoyed this book! Interesting story with a fresh perspective on the oft maligned Alice Perrers. The narrator is perfect for the content. Could not put this book down! I normally go for pure biographical history books , specifically English and Russian royal families. Only after exhausting all of those options did I stumble across this gem and decided to give it a try. I’m glad I did. I literally could not turn it off. I just had to know what was going to happen next to this woman. I highly recommend this book to anyone with an interest in English/Royal history. Or even romance, as it definitely has that aspect as well. It also highlights the struggles women endured as pawns and property of the men in their lives. It has it all. Love, Love, Loved this book! Alice Perrers is an intriguing historical figure, and the author's take on her as a pawn of the powerful me in her life (rather than a scheming and greedy fallen woman) is in interesting thought. However the writing is fairly basic and in the end I wasn't left convinced that this was an accurate representation. Still enjoyable, just not an impactful read. The performer does very well.